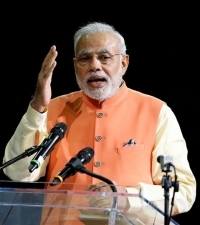 Prime Minister, Narendra Modi has announced that the holders of PIO cards will get lifelong visas, while speaking to large gathering of people of Indian origin at Madison square Garden in US. He announced that NRI’s residing in India for an extended period are required to pay a visit to the police station. However, going forward they need not do so. Indian government will merge the both the Overseas Citizenship of India (OCI) and People of Indian Origin (PIO schemes) into one and a new scheme will be announced shortly. Moreover, Indian missions in US would allow long-lasting visas to the citizens of US. Also, US tourists will be able to avail the visa on arrival facility in India.